There’s nothing like a week away in Cornwall to step out of the daily rush and rest up. After my fair share of sleepy country lanes and coastline walks I’m back more than ready for the second-quarter assault. It’s always interesting coming back to your commute and seeing what subtle changes have happened while you were away. New hoardings at the station never fail to liven up even the saddest regular commuter’s morning. 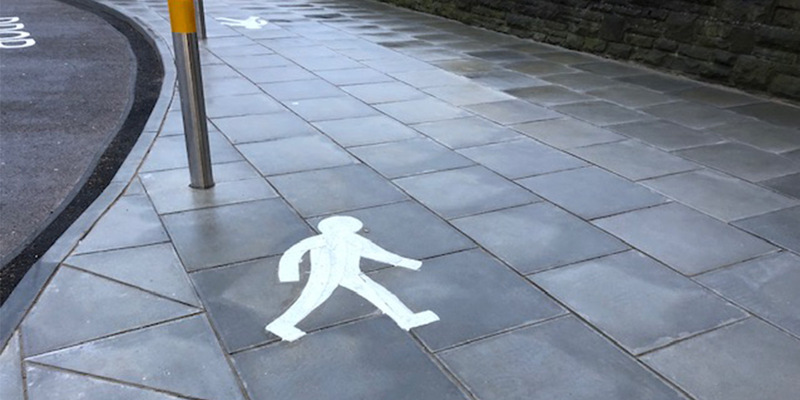 Imagine my exuberance on stumbling onto this absolute gem a whole trail of walking men (not sure that’s allowed in Woke Land) painted onto the pavement to remind passengers alighting at Swindon that they should walk on the pavement. Now Swindon (or Greater Cotswolds) is special (we are getting the biggest IMAX in Europe), but pavements are not some innovative development peculiar to Wiltshire as far as I am aware. I do feel (old man rant coming) that society is becoming so enthralled by technology that it underestimates the most powerful computer of all – the human brain. Take quant strategies, for example. If you watch Billions – and you really should – there is big struggle between Axe, the fundamental hedge fund manager, and Taylor who believes quant/algorithmic strategies are more powerful. I am with Axe, I’m afraid, because I think humans can better adapt and take advantages of opportunities. Algorithms (algos) are programmed in a certain environment and can only operate as long as it doesn’t swing, change or shift. That’s arguably why algo funds have performed terribly in the past year or so of erratic markets. Many quant or risk-targeted strategies reduce risk when volatility rises. Just think about that for a moment. Volatility typically rises at inflection points, so it tends to spike on corrections. An algo model is therefore telling you to take risk out to keep within your target at precisely the time you should be buying. And then, once market sentiment rallies and indices recover, volatility falls and your model encourages you to take on more risk. You end up selling low and buying high in erratic markets. This is nonsensical. Of course, more sophisticated models in high-frequency strategies that are arbitraging small gains in microseconds may be able to eke out returns, but any long-term investment by this logic seems fundamentally flawed to me. Our funds have risk budgets and often when markets are going up our nominal volatility falls. Even if we have matched our return targets and have high-risk adjusted returns we are challenged for not taking enough risk. “Returns are good but you could have had more,” some argue. This is very dangerous territory. I know that at these times my potential (or implied) volatility is much higher than my historic (or realised) volatility. If I ignore this and add risk in response to the criticism then I will increase my participation significantly just before an inflection point. In the parlance, I’ll be no better than a dumb robot following numbers from the past. Having managed money for 30 years or more (old man rant again), I feel able to push back on this analysis rather than capitulate to get the buy rating. I may lose out on new fund flows in the short term, but my track record is more important in the long run. Common sense is a much underrated input in asset management land. I think it will make a comeback now volatility is back to stay. I can’t be so confident about Swindon council though!